Few cities make such a powerful first impression as Rome. Undoubtedly one of Europe’s most beautiful and inspiring capitals, the Eternal City captivates and intrigues the millions of visitors and tourists that flock there each year, and keep us going back for more. In addition to the city’s historical legacies, it’s winding lane ways, bustling piazzas and picturesque streets beckon to be explored. This is where Rome’s heart really beats, and something as simple as people-watching and exploring the colourful street life is sure to be a highlight of any visit to Rome. If you are planning a visit to Rome but are finding yourself overwhelmed with finding accommodation that is both central and that won’t break the bank, I’m here to help! The first thing to know is that when my husband and I book accommodation, we always shop around, do our research and find the best deal. Basically, we’ve done the hard work for you! After a recent three-night stay in Rome, I can confidently say Incentrum offered the best value for money and was yet another reason why our time in Rome was so magical. Aside from a fabulous location, our room was spacious and well-appointed with simple yet beautiful furnishings. With exceptional hotel staff, free WIFI, satellite TV, a fully equipped kitchen or kitchenette, and a lovely private terrace or balcony, Incentrum felt like a home away from home (that you never want to leave). Also included is a voucher for use at a nearby restaurant for breakfast each morning of your stay, and the manager is only too happy to store your luggage after check out if you want to sneak in a little more exploring and sightseeing before your flight out of Rome (like we did!). 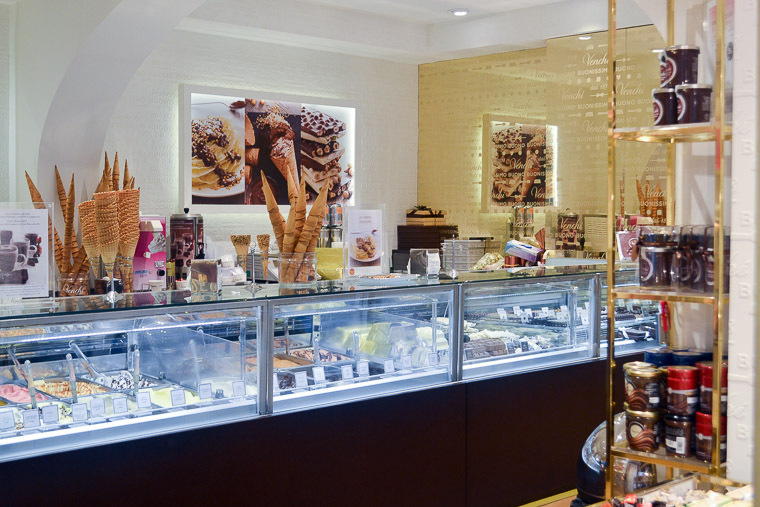 My favourite gelato shop in Rome is right around the corner from Incentrum…dangerous, I know! First thing to know is that the hotel’s location is, in a word, unbeatable. 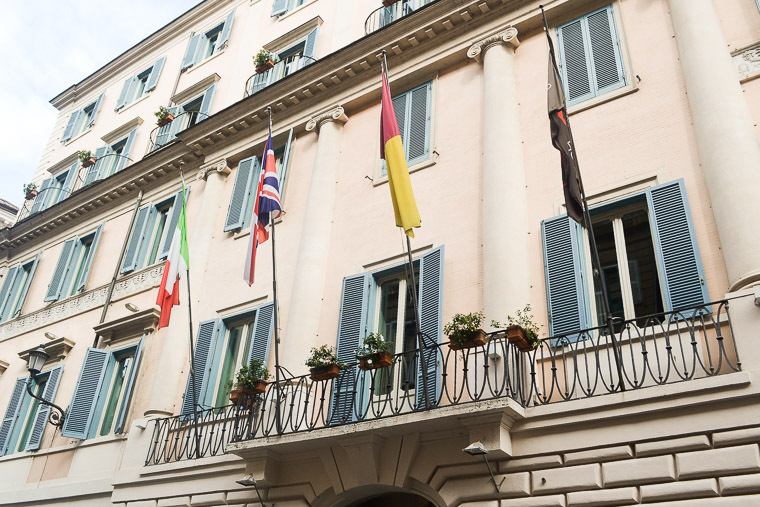 Located in the heart of Rome in the prestigious and central Spagna neighbourhood, Incentrum is only a short walk from the metro stop at the celebrated Piazza di Spagna. From Incentrum, you can literally walk all over Rome, to the Colosseum, to St Peter’s Basilica and to all the sites in between. For walkers like me, who think there’s no better way to explore a new city than by wandering by your own two feet, Incentrum makes it easy. And for those non-walkers among us, Incentrum’s location is perfect if you want to make use of the metro system to get around Rome. Piazza di Spagna is the star of the neighbourhood and attracts locals and visitors alike to sit and idle away an afternoon on the famed Spanish Steps. 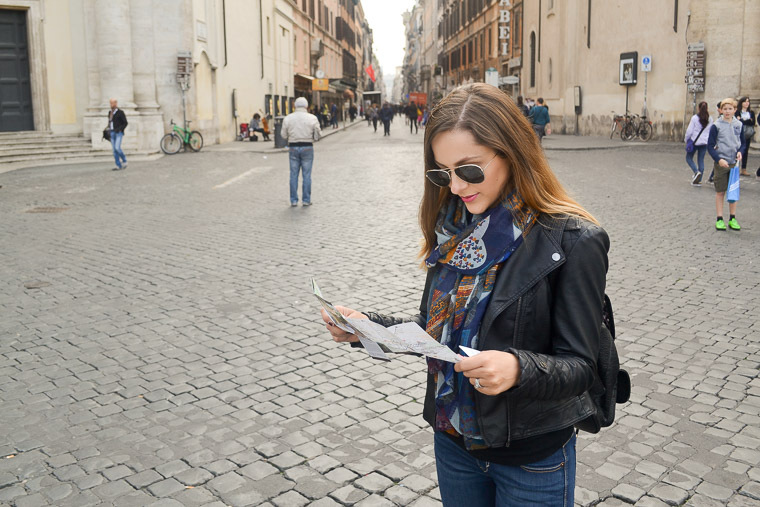 In addition to housing more chic restaurants than you could ever manage to eat at, here you’ll also find the best shopping in Rome, with everything from high-end brands and designer boutiques to favourites like Zara, H&M, Sephora and Topshop. 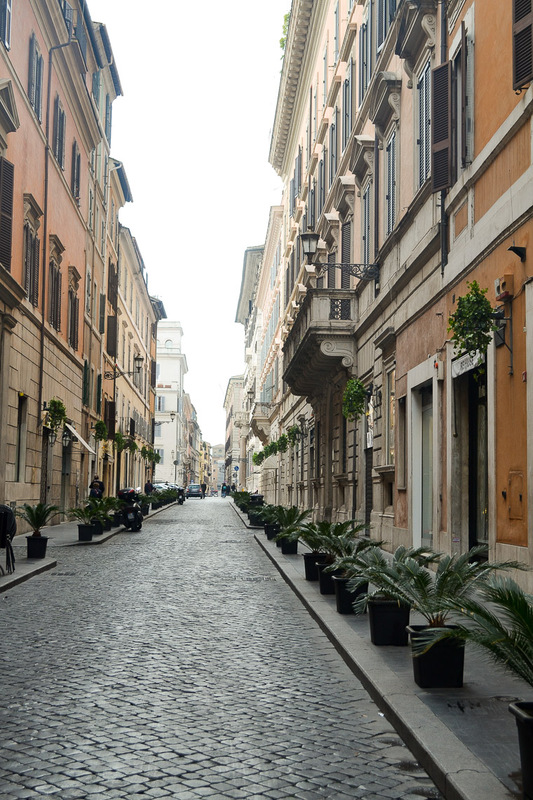 Incentrum has two locations in Rome, one at Via Vittoria 64 and the other at Via Del Babuino 172. In reality they are only a short stroll apart, but I would recommend Incentrum on Via Vittoria as it lives on a much quieter street and has an elevator! With the metro stop only moments away, finding your way to Incentrum from the airport or the Civitavecchia cruise terminal couldn’t be easier! From the airport or Civitavecchia, take a train to Roma Termini (the terminal station for all trains to Rome). Once there, follow the signs to the metro. Take Metro Line A (red) and get off at Spagna (approximately 8 minutes). Exit the station onto Piazza di Spagna, turn right onto Via Del Babuino and then turn left into Via Vittoria – half way up the street is number 64. All in all, we had a wonderful stay at Incentrum – it was the perfect base from which to explore Rome, it was comfortable, clean, great value and I would recommend it to anyone visiting the Eternal City. In fact, I just recommended my parents stay there for their upcoming trip! For more information about the Incentrum apartments, you can visit the website here (or via Booking.com).